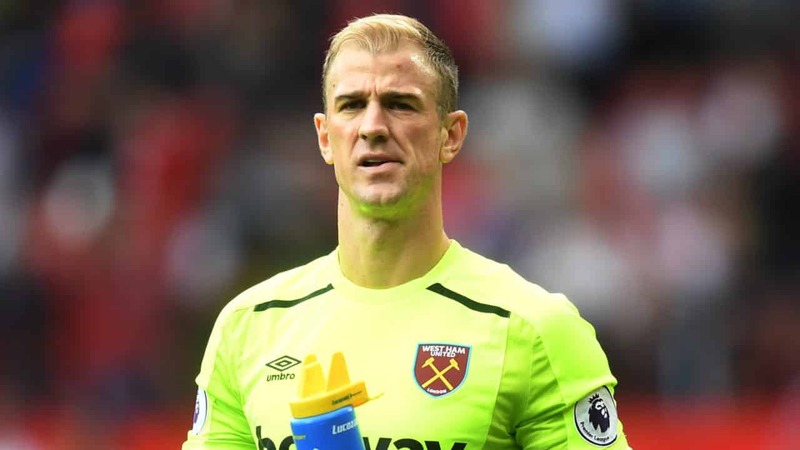 After a disastrous loan spell with West Ham and a forgettable season with Torino, Joe Hart has finally cut ties with Manchester City. The 31-year-old has signed a deal with Burnley worth a reported £3.5 million. Hart spent 12 years at Manchester City, joining the Cityzens in 2006 before being loaned out to Tranmere Rovers, Blackpool and Birmingham City. The English international finally remained at the club in 2010 and took over the number one jersey from Shay Given as City looked to improve on their 10th place finish in the 2008/09 season. The two-year contract will see Hart fight for a starting place in the Burnley side, with Tom Heaton, Anders Lindegaard and the recently injured Nick Pope all looking to make a statement in the upcoming season. “It’s been a fantastic experience, I’ve grown a lot. “I came here at 19 and I’m going to leave at 31 so it’s been a long time and a lot of things have happened – family, friends and a lot of football! “I certainly feel a lot of love and appreciation. I’ve always enjoyed the Man City fans, I came here as a Shrewsbury Town player – a kid from Shrewsbury. It was the pinnacle for me to be at this club before they were challenging for the title, and I was welcomed from day one. I think they saw in me someone who was just going to try his best. During Manchester City’s title-winning campaign in 2012, Hart was at the peak of his powers, keeping 20 clean sheets from 51 total games played. While he did have a solid defensive line in front of him, he was called on countless times to save City from missing out on collecting maximum points. It’s an interesting decision from Hart to join Burnley of all teams where he will likely play second fiddle to Heaton, who is ironically also a potential successor to the Three Lions goalkeeping position recently vacated by Hart, currently occupied by Jordan Pickford. There are plenty of teams that could use a first choice goalkeeper and at 31-years of age, Hart is still relatively young. While he’s certainly lost some of the bounce and vigour which made him a stalwart at City for so many years, he’s certainly proved himself to be a worth Premier League keeper. His time with West Ham was underwhelming, conceding 42 goals in 23 games across all competitions. While Hart was able to keep six clean sheets, conceding nearly two goals per game is career suicide. It’s certainly a shame that Hart will now keep for Burnley. While the club did succeed immensely last season, many will argue that they were undoubtedly overachieving and may come crashing back down to Earth this year. Hart will offer a stern voice in the dressing room for the outfield players and the younger keepers, and with the Clarets’ dogged defensive system, fans can expect big things out of Hart. Just stay out of his way when you’re in the tunnel. Tweet me @Seb_Quinn and let me know your thoughts on the move for Hart!